Dialogue is located between Shimokitazawa and Higashikitazawa stations, on a street running through a quiet residential area. It’s a place for the enjoyment of good food and wine. People usually notice it for the French flag flying outside, but even without it you can tell it’s a nice bistro. 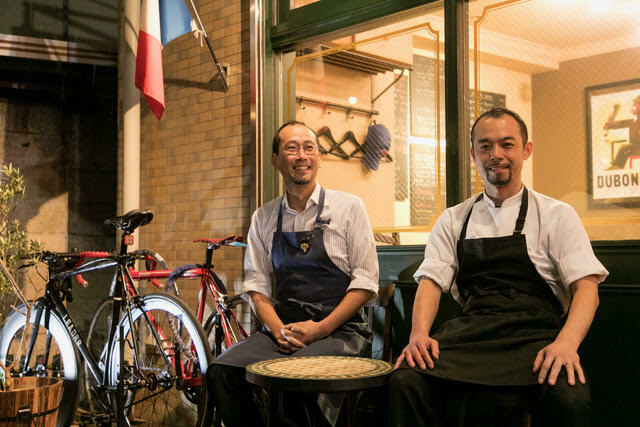 For those who frequent Shimokitazawa for shopping and dining, Dialogue is a place to go for a touch of fine dining. For locals, however, Dialogue is a home away from home, and a place to casually enjoy quality French cuisine. But no matter who you are, Dialogue is great for eating, drinking, and enjoying good conversation. The word dialogue has the same meaning in French - a conversation between two or more people. And the name sums it up: Dialogue is a place for dialogue. Sometimes it’s with friends over food, or with sommelier Ryohei Shimokawa over wine, or with chef Yusuke Yoshii over the kitchen counter. But above all, it’s the dialogue between chef and sommelier that is the most important here. Ryohei Shimokawa and Yusuke Yoshii have worked together at different restaurants and visited many more prior to opening Dialogue. 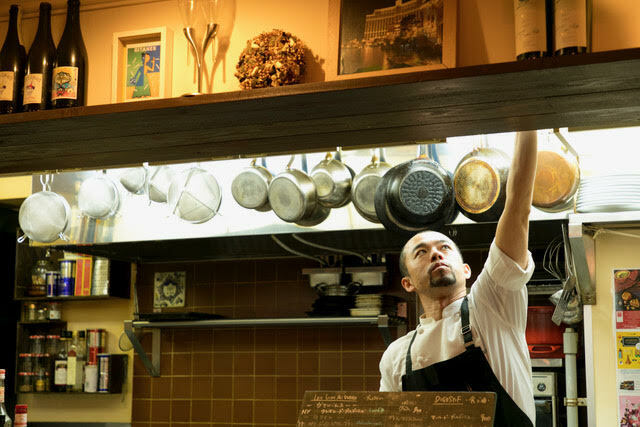 They saw service staff paying more attention to the chef than the diners, and chefs cooking dishes to please the sommelier instead of considering their customers. Chef Yoshii has worked in restaurants including a Michelin double starred restaurant in Arbois, eastern France. But more than experiences in the kitchen, Yoshii remembers the people he met saying, “They accepted me as family.” While in France, Yoshii was fascinated by the passion for making and eating good food, and drinking good wine. 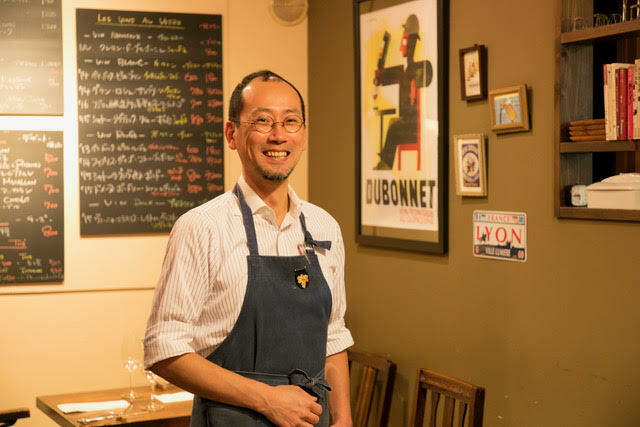 Shimokawa, who recommends the wines for Yoshii’s dishes, believes that French cuisine is worth taking time to savor. He also believes that French food maximizes the value of time. Dialogue, then, is a treasure for those passionate about spending quality time with good food and wine in an atmosphere of antique chairs and tables. The name itself, too, reminds us how communication and conversation can improve our dining experiences. Prix fixe menus come with bread and coffee or tea. Dialogue offers three set menus, but dishes are also available a la carte. Why not select dishes you like from the a la carte menu and build your own tasting menu? The a la carte menu features 18 appetizers, half of which are priced at less than 1,000 yen, but all all of which are under 1,500 yen. The menu offers seven main dishes priced around 2,000 yen. 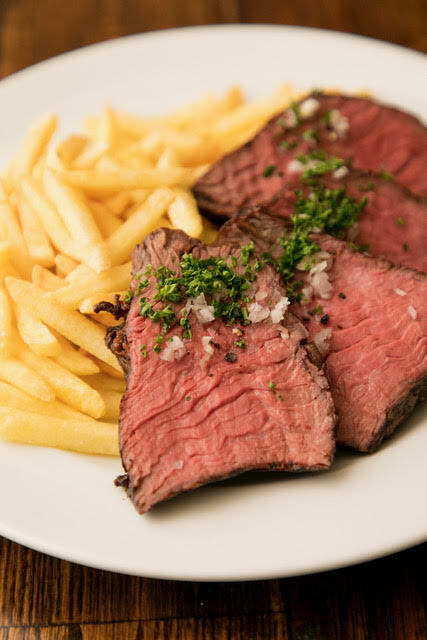 The popular steak frites (250g) is 1,900 yen, but many of Dialogue’s regulars enjoy a dish double portioned (500g) serving of the dish, priced 3,500 yen. The four offered desserts are all priced around 700 yen. Dialogue’s wine list boasts around 100 wines, red and white combined, almost all of which are from France, though a few Japanese wines are also available. House wines are often less than 3,000 yen, though the most popular options tend to fall between 4,000 and 5,000 yen. The wine list also includes eight sparkling wines including Champagne. Sparkling wines are priced from around 5,000 yen, and Champagne from around 8,000 yen. Four red and four white wines are available by the glass from 600 yen. Sparkling wine by the glass is 900 yen. Dialogue also has a dessert wines starting at 1,000 yen, along with digestifs like Cognac, Calvados, marc and liqueurs.